In the last post I talked about the fact that your sermon has to be interesting if people are going to go along on the journey of your message. In this post, let’s begin a series of posts that describe some guidelines for sermon delivery that will help your message get through more effectively. 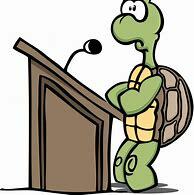 The first guideline for sermon delivery is to check how fast (or slowly) you speak. The pace at which you speak will have an effect on whether people tune you in or out. A general rule to follow is that the optimum speed is 150 words per minute on average. That is the speed which audio books are read. In studies that have been done on speech rate, it has been shown that speaking slightly over 150 words per minute makes you appear more dignified. I suspect this is because it seems, at that speed, that you know your material well, and are not hesitating. Studies have also shown that the human brain can process words faster than we can speak them. If you speak faster, like 190 words per minute, listeners will think that you are more knowledgeable and persuasive than slower speakers (Jeff Miller in an article in Leadership Magazine, quoted by Andy Stanley). So this is the first of the guidelines for sermon delivery: know the pace at which you speak, and practice to speak in a comfortable range for your hearers. If you speak too slowly, the audience will perceive you as boring. You probably know this from your own experience. Think about the last time you listened to someone who spoke too slowly. Didn’t you want to push a fast-forward button? On the other hand, some of us speak too fast. That tends to be my problem, so I’m preaching to myself here. I remember when my father heard me preach for the first time. He had a slight hearing problem, and strained to keep up with the thoughts that I was spewing out, and he let me know afterward how difficult it was for him (and others) to tune in to what I was saying. It was a good reminder to me that if I talk too fast, the people will have to strain to keep up, or they will miss words. Most people who talk over the 190 words per minute rate begin to muddle words together. Here’s a cartoon I came across that makes this point about speaking too fast. The first in our guidelines for sermon delivery is to find the sweet spot in regard to pace of speaking. Check the pace at which you preach. Record a message that you have written, so you know how many words you include. Then divide the time spent delivering the message by the number of words. If that sounds like too much work, or if you don’t type out messages, so you don’t know how many words you use, simply record a message. Listen to it for pace. You can even have a trusted friend listen to it as well and give you feedback on the pace of the delivery. Here is a video on another method to test your rate of speech.